Please Note: All of the information on this page has been reproduced with kind permission of the CWGC, or has been adapted from existing educational materials produced for the CWGC. Some cemeteries with CWGC graves are quite large and individual headstones may be difficult to locate. It would always be advisable for the teacher to visit the cemetery first in advance of taking pupils. ​Some individuals are buried or commemorated at family grave sites and may not have the distinctive CWGC headstones. Many cemeteries may be operational at the time of your visit and therefore funerals may be taking place. Appropriate behaviour from pupils is required. Where possible, keep to paths and designated routes to avoid trips and falls. The CWGC is responsible for the maintenance of all Commonwealth war graves from the First and Second World Wars, wherever they are in the world. Headstones are inspected regularly and replaced when they become illegible or damaged. Remove any large weeds which may have appeared around the headstone. Remove any litter which may be in the vicinity of the headstone. Take sheets of A3 paper to the cemetery and with pencil, charcoal or wax crayons, take a rubbing of a headstone. Do not mark a headstone. Ensure the headstone is secure. Do not lean heavily on a headstone. The tradition of laying flowers at a grave is long standing one. Pupils could grow their own flowering plants which they could lay during their visit. ​Flowers can be grown outdoors in a planter or flower bed. However, if you don't have access to a garden, you could contact a local gardening club or allotment society for help and advice. Alternatively, pupils and their families may wish to buy flowers to lay at a grave instead. Whilst visiting a CWGC grave, pupils could take the opportunity to say a few words to acknowledge the visit. They could read a poem, a letter or share a story about someone commemorated at the cemetery. Pupils could bring sketch books when they visit a cemetery to draw a picture of a headstone or monument. Alternatively, pupils could take pictures on their phones. These drawings and pictures could be displayed in the classroom and online through a school website and social media. 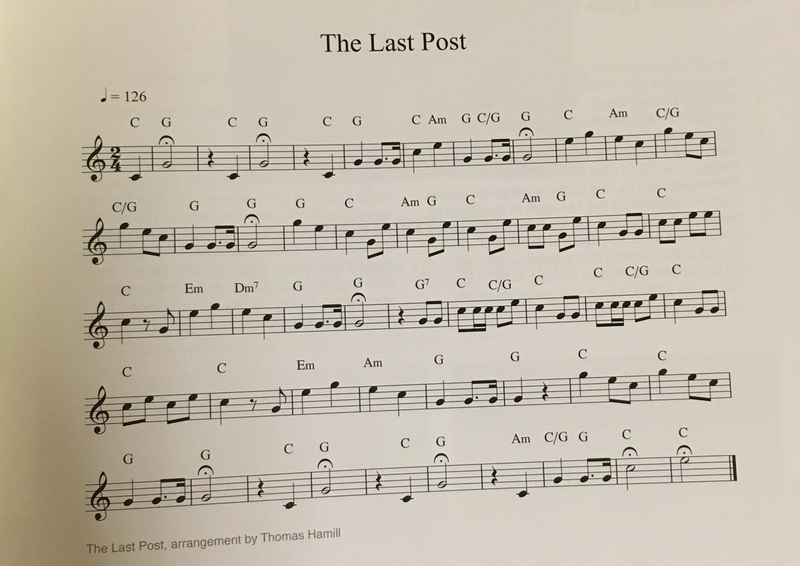 On an instrument, a pupil could perform the Last Post during a visit to a CWGC location. Alternatively, it could be played on a handheld speaker.